Are you a breastfeeding working mom? Way to go momma! 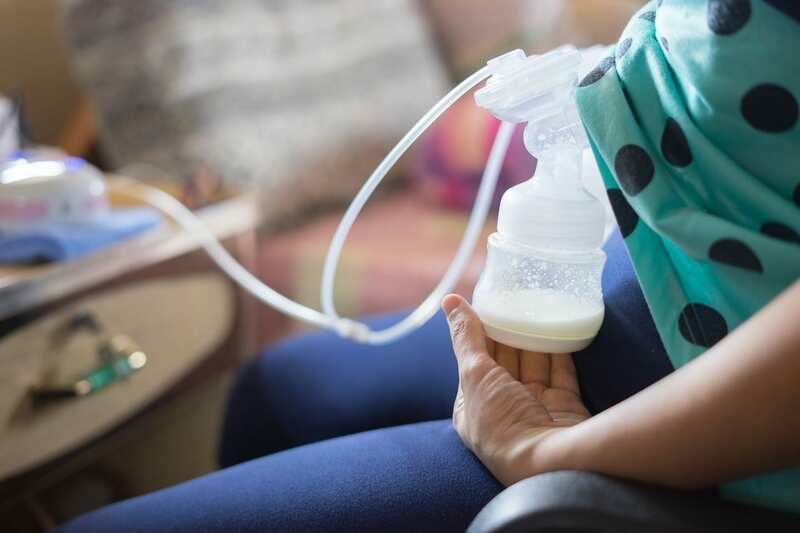 Breastfeeding in and of itself is just about as demanding as a full-time job, and it can definitely be hard to manage when you have to get up and go to work all day. 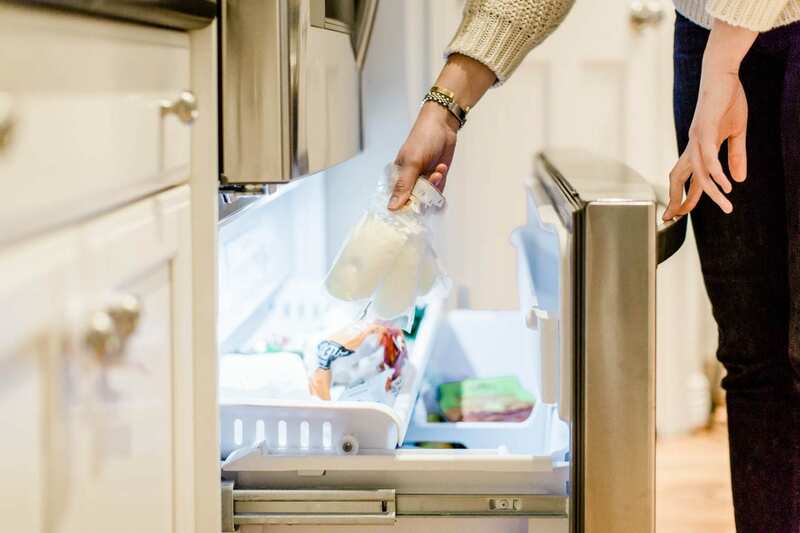 If you are away from your baby for a large chunk of the day, chances are you are pumping to keep your milk supply up, and to develop a milk stash for your little one. 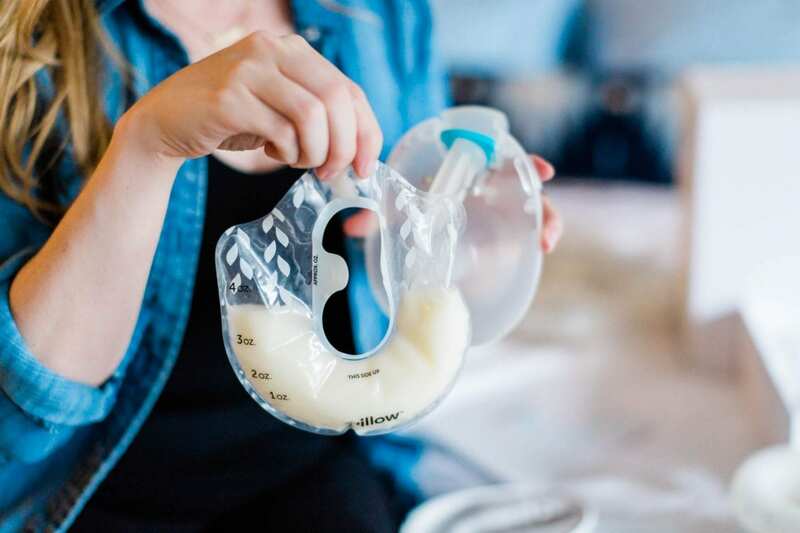 However, this is no easy task which is why I wanted to share eight hacks designed especially for those breastfeeding working moms who need to pump on-the-go. If you are pumping at work, you will have to bring your pump and all of your supplies with you. Being organized about getting all of this ready the night before can make your life ten times less stressful when it’s time to get out the door to work. Nursing bras are perfect for the breastfeeding working momma. There are even nursing bras designed just for pumping so you can pump hands-free. Try to stock up on a handful of these nursing bras before baby arrives to make pumping and breastfeeding on-the-go easier. When returning to work, you will definitely need a handful of storage bags or containers to keep your pumped milk in. Think about what will be most convenient for you and make sure to buy a bunch before baby arrives. You can also bring a separate insulated lunch bag to keep the stored milk in after each pumping session. 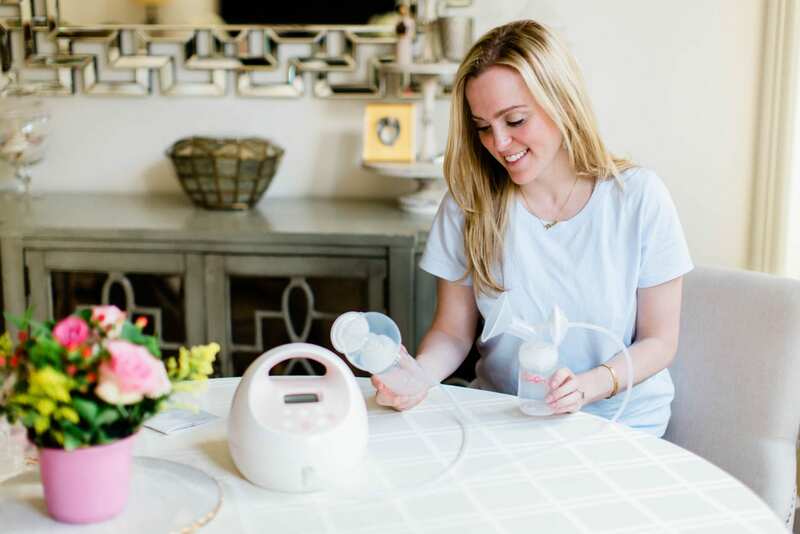 Many breast pumps already come with a tote bag, but if yours doesn’t, you may want to consider buying a tote bag specifically for all of your pumping supplies. You will want the bag to be large enough to hold the pump, your storage bags or containers, and other necessities like breast pads, and of course some breastfeeding snacks! While you are at work, it’s easy to let time slip by, and you may forget to pump. To make sure you are keeping your milk supply high, set some timers throughout the day to go and pump. This makes things easier for you and one less thing you have to remember! Let’s face it, breastfeeding can make you hungry, and your caloric demands do increase, so it’s important to snack and eat accordingly. Pack some snacks like oat-based granola bars, nuts, seeds, and fresh fruit in your breastfeeding bag to enjoy while pumping at work. If we’re being honest, breastfeeding and balancing work is a tough job, and not all jobs make it easy to stick to your pumping routine. If you happen to have a job that offers a comfortable spot to pump, that’s amazing. If you’re not so lucky and finding a private and comfortable space to pump is a challenge, you may need to get creative. Speak with your supervisor before you start maternity leave, let your boss know you will be needing a place to pump upon your return and see if they can work with you! You never know until you ask. Having things like specific breast pump cleaning wipes, and hand sanitizer nearby will make your pumping sessions much less stressful. You won’t have to worry if you don’t have a sink nearby to clean your pump and sterilize your hands. While breastfeeding is a demanding job, it is also a very rewarding job. Having a baby and then returning to work and having to find a way to continue to pump can make this job a little bit harder. However, keep these eight tips in mind to help make pumping at work just that much easier! With a little preparation and some practice, you will be well on your way to becoming an expert at pumping on-the-go.